Who doesn't love FREE books?! You'll be eligible to receive BOOKS just for joining our newsletter! So sign up here and enjoy your free books! Plus you'll hear about new releases, contests, and so much more! For the first time ever, get the Prescott Twins in one volume! I love shy Kristin and take-no-prisoners Kirby. Not to mention their heroes, Ross and Jack. Hmm, if I had to choose one or the other, I just don't know! 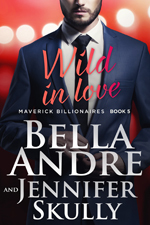 In our Mavericks line-up, Daniel's wild story, Wild in Love, is available. Grab your copy today! Look here for all your purchase links! And pop over to the bookshelf to read more about Captivating in Love, coming to you in the fall of 2019. Bella and I are writing the book right now! 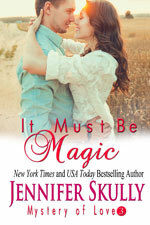 For those of you looking for more Mavericks in German, Irresistible in Love is now available for your reading pleasure. And don't miss Breathless in Love, FREE! Get your copy now! Check out all the other current freebies, starting with Dead to the Max, Max Starr Series Book 1, as well as The Girlfriend Experience, The Fortune Hunter, Revenge, and It Must Be Magic.